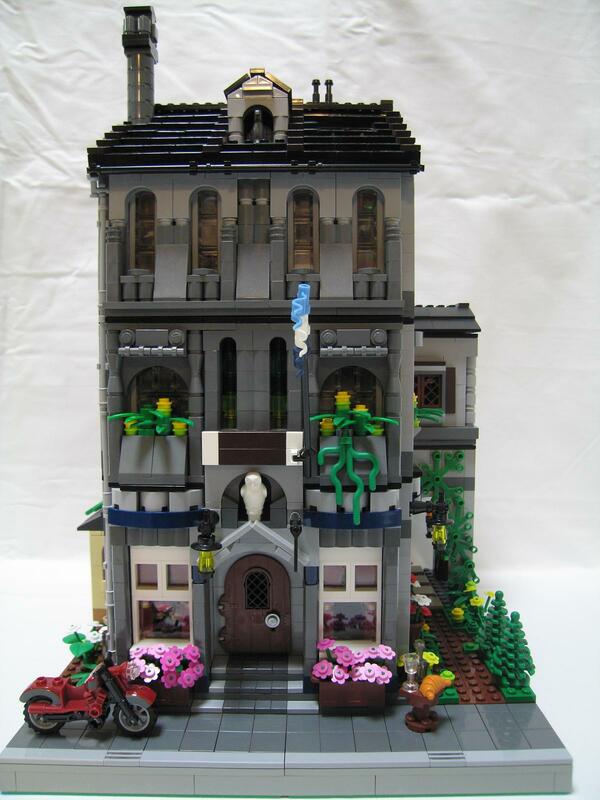 Brick Town Talk: Comfy Cafe - LEGO Town, Architecture, Building Tips, Inspiration Ideas, and more! Back in The Old Country - (BTT) It's hard to really pinpoint what exactly gives an old European building like the one above that certain level of charm not found here in America, but boy does this have it. On the first floor is a bustling cafe, providing a warm and inviting space to meet up with friends and enjoy some top notch nibbles. An apartment occupies the second and third floors above, currently owned by an avid collector of art and antiquities who clearly spared no expense when it came time to decorate.